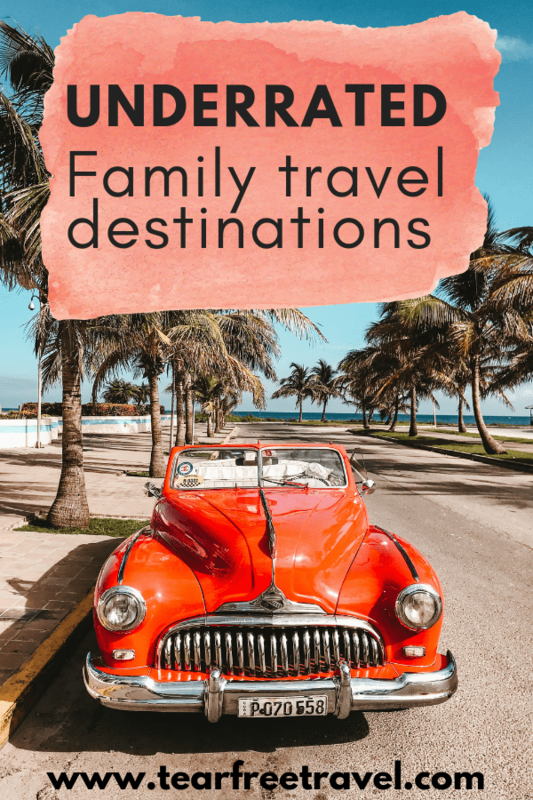 Ditch the typical family vacations and go off the beaten path this year to some of the less explored countries to visit with kids. 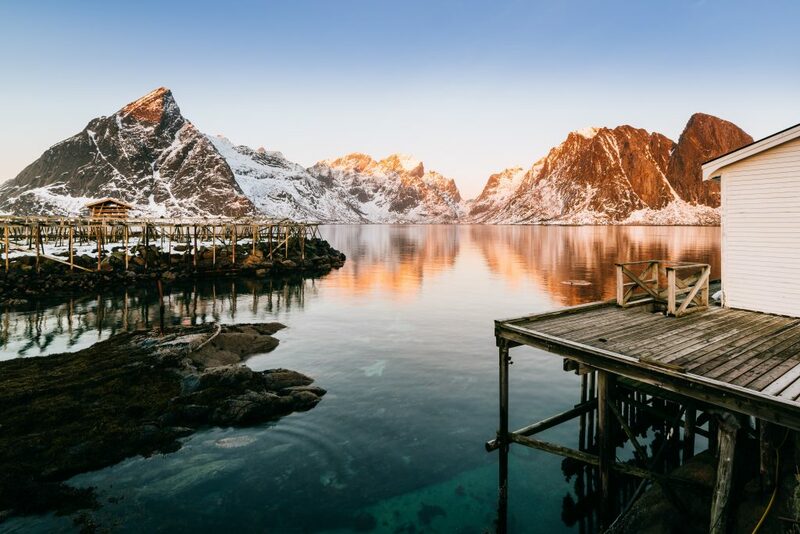 These underrated travel destinations are perfect for your next family trip. 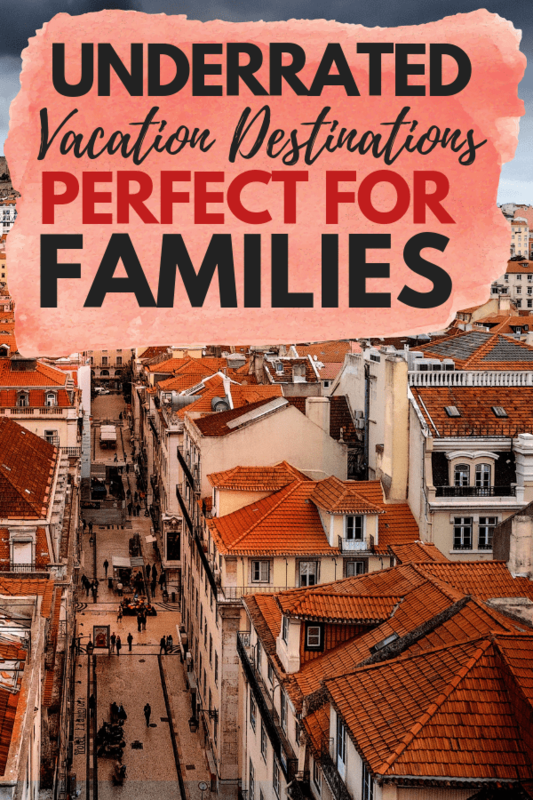 From coastal cities to the rainforests of Thailand, these family vacation destinations are road tested and come recommended from real moms like you. Cuba is like visiting a country stuck in a bygone era. 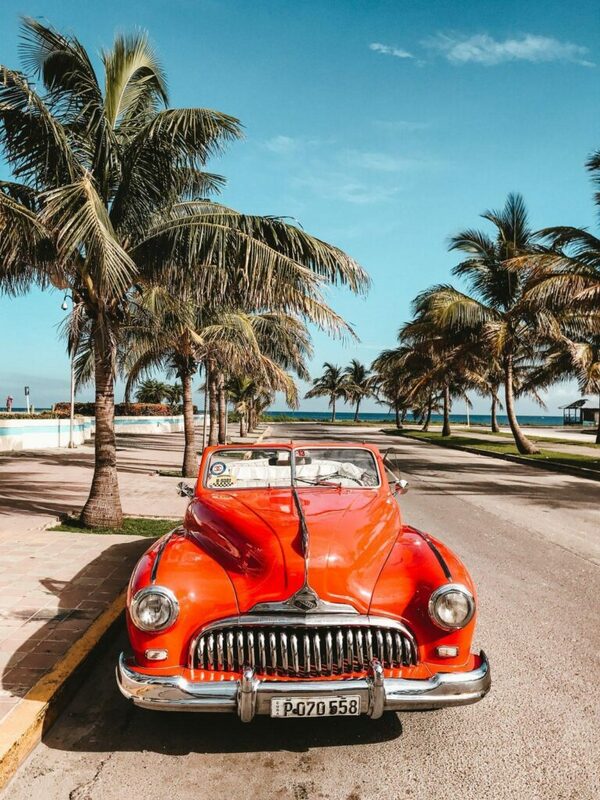 An era where classic cars roam the streets and brightly painted Spanish colonial colonnades edge the sidewalks. For families, Cuba is a wonderful destination to form memories and shape teachable moments based on the sites and experiences your family will have together. Cuba is an island so the obvious answer is to go to the beach but there is so much more to see and explore than the beach alone. The kids will love swimming under waterfalls, exploring ancient caves, Riding horses with cowboys, swimming through underground rivers and of course, riding in a retro convertible. Orlando is the undisputed king of family travel destinations but there are lots of great Florida options that aren’t based around theme parks. In Clearwater, you’ll find beautiful white powder-sand beaches, gentle waves, and warm clear water. The water tends to be a tad warmer than the Atlantic side and less rowdy which is great for families with smaller kids. The gentle warm waters make this the perfect beach destination for first-time water sports activities. Teach your little ones to boogie board or snorkel through the gentle waves. For the more adventurous, rent a jetski or head up to the skies in a parasail. Lapland is home to the northernmost point of land in the world. Take a trip during November or December and experience all the magic of Santa’s workshop and the winter season. Stop by Santa Park to meet the elves and the big guy himself. Take the family on a dog sledding lesson or ski the slopes. 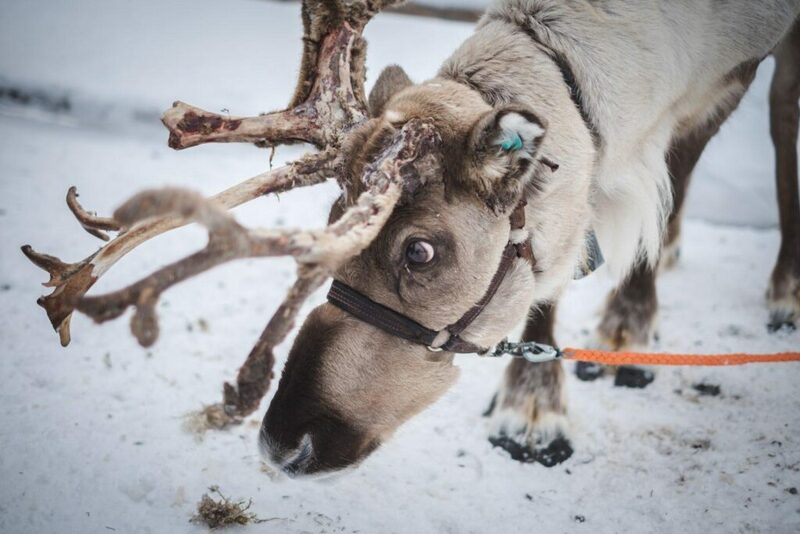 Lapland has a few nontraditional winter activities as well like Ice Karting, snowshoeing, and riding in an icebreaker boat. Toddlers through mid-elementary, while they still believe! The Inca city of Machu Picchu is one of the 7 wonders of the world and one of the most breathtaking sites on earth. 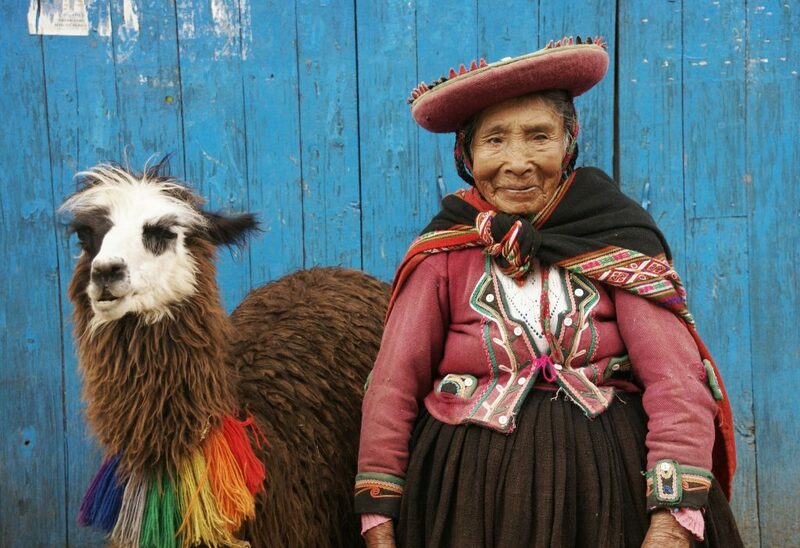 While Machu Picchu is the obvious main attraction, Peru offers families unique opportunities like sand dune boarding, white water rafting, zip lining, and jungle trekking. Peru has numerous cities with different activities for kids of all ages but is particularly incredible for the adventure sports enthusiasts. As Canada’s biggest city, Toronto is home to just about every experience imaginable for youngsters. Toronto has enough activities to keep you busy with fun-filled days of action-packed events and festivals. Spend a day exploring the Toronto Zoo, and the Ontario Science Center. With your older kids, enjoy a day exploring the hockey hall of fame or Canada’s Wonderland theme park. 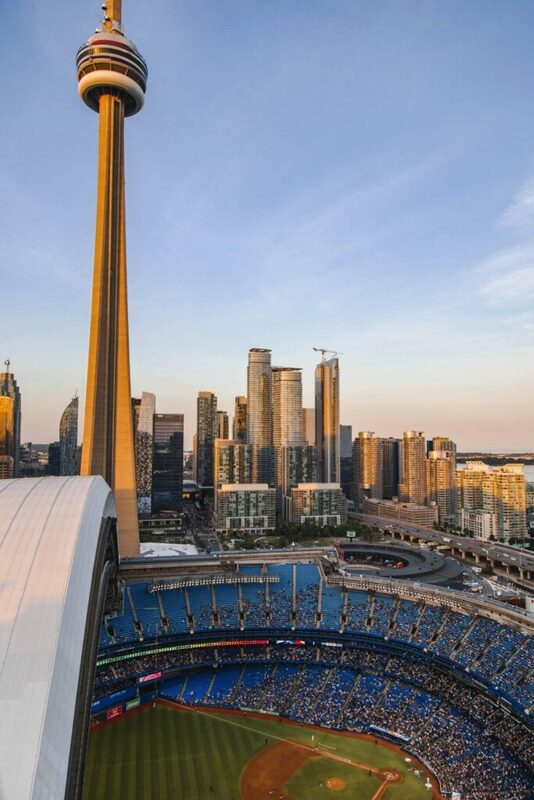 Check out the CN Tower observation deck and if you’re brave enough do the edgewalk 116 stories above the ground. The wildlife and natural wonders alone make Alaska an incredible family destination. Whether you’re visiting by cruise ship or via dry land, your kids will never forget seeing whales, bears, moose, and dozens of other animals in their natural environments. Alaska is all about the great outdoors, hiking, biking, kayaking, and camping is abundant. Take your family into the wilds and teach them all the beautiful things that the Alaskan wilderness has to offer. 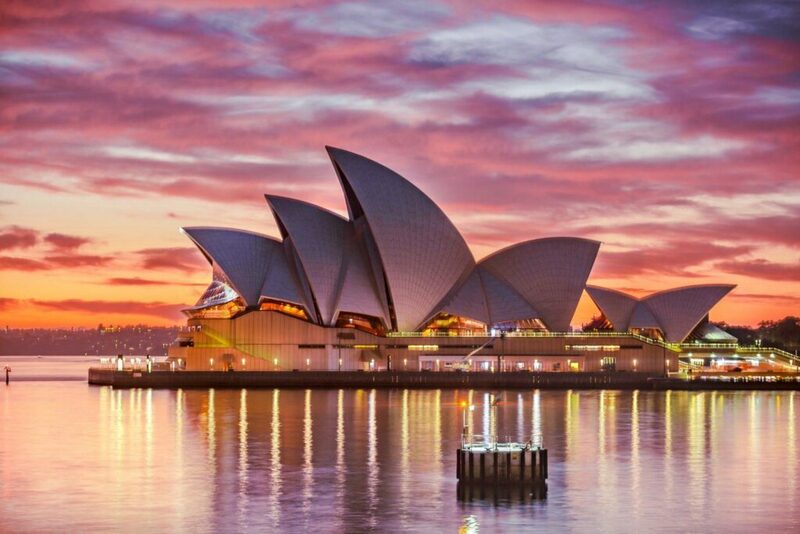 Sydney is one of the biggest tourist destinations in the world with nearly endless activities for kids of all ages. The coastal city is home to beachside attractions, natural wonders, and everything that makes urban adventures so amazing. Explore the sea via the ferry at Circular Quay or if coastal views by land are more your thing check out the Bondi to Bronte coastal walk. Take your kiddos to the darling harbor and explore the playgrounds, carousel, aquarium and wildlife park. 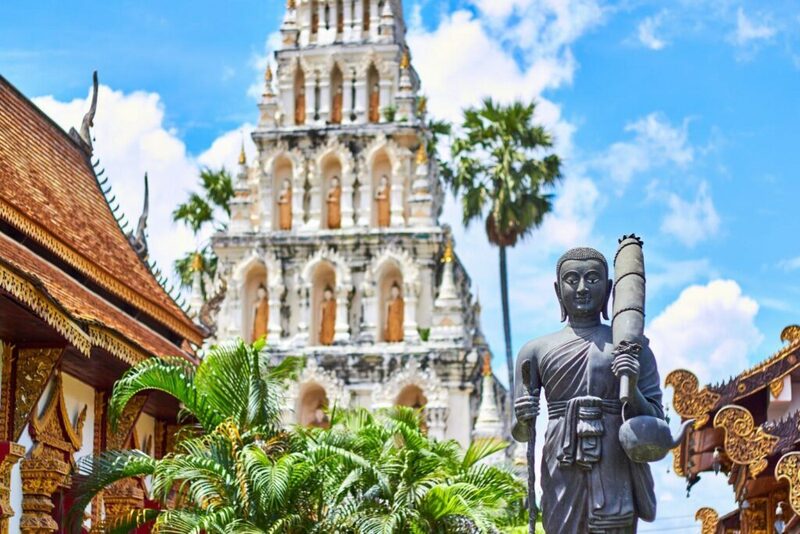 Chiang Mai is nestled in the foothills of northern Thailand and home to ancient temples, elephant sanctuaries, and incredible night markets. Spend a day volunteering at Elephant Nature Park and learning about the endangered Asian Elephants. After your elephant experience, take a tuk-tuk around town to explore ancient temples. On a rainy day check out one of the many local artisans’ studios and try your hand at a local handicraft. The ancient pyramids at Giza and the temple ruins. 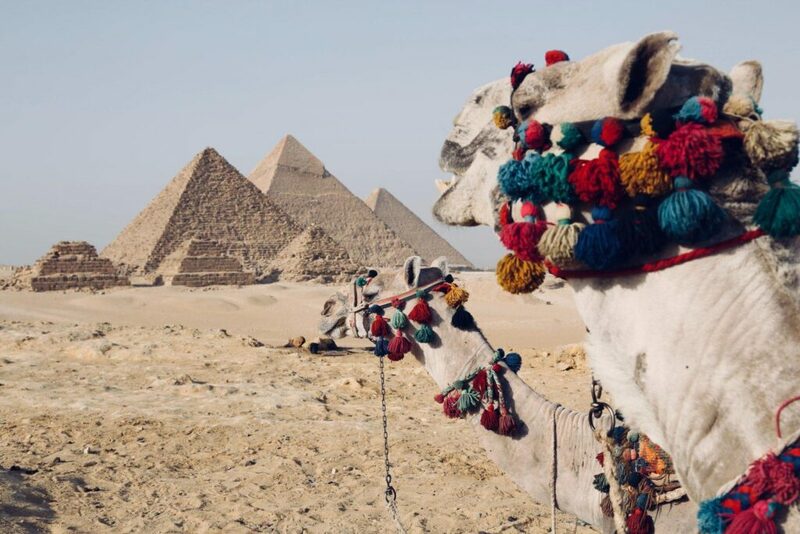 Of course, you’ll want to explore the pyramids and ancient Egyptian museums but there is so much more than the ancients to experience is this beautiful country. Try your first traditional Egyptian meal with a variety of falafels and hummus. Explore the street markets and visit a local mosque. 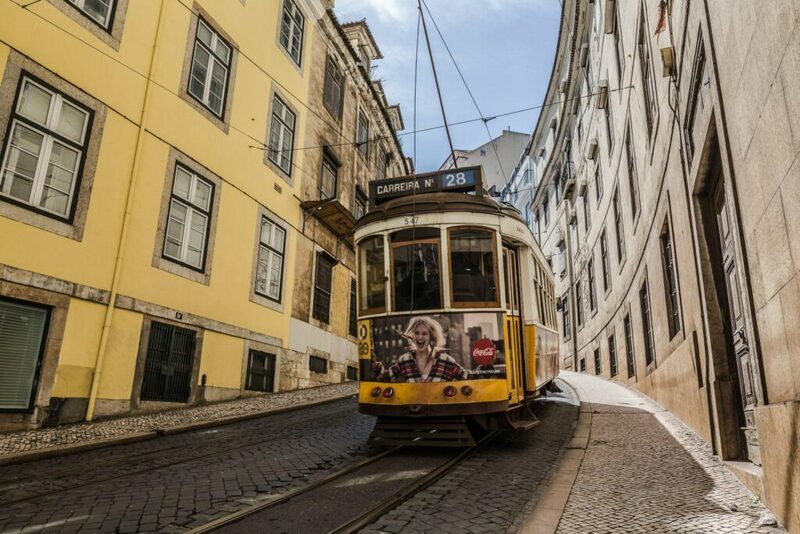 Lisbon may be the most underrated destination on this list. While it’s not as popular as its neighboring European cousins, it has just as much history and culture at a lower price point. Explore the cable cars and local trams. For younger kids, KidZania is a must. It’s a child-sized city where little ones can try on different professions for size. If you have active kids looking to burn off some steam after visiting Jeronimos Monastery, take them to the fun track and rent a skateboard, scooter, or go-kart to race around.